January 21, 2011  Although he has not lived there for several years, WikiLeaks founder Julian Assange is very much in the public spotlight in Australia. Assange is at the center of an intense national debate over his release of classified U.S. government documents. January 14, 2011  Australia's economy has weathered economic crises partly on the strength of its commodity exports, from iron ore to cotton. 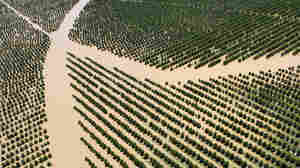 But the disastrous floods in northeast Australia have hurt production and caused global commodity prices to spike. January 13, 2011  Floodwaters inundating Brisbane have crested, sparing Australia's third-largest city from what could have been more severe damage. More than a dozen people were killed and many more are missing. 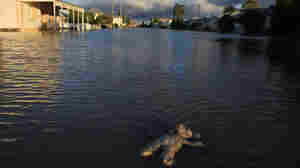 January 12, 2011  Brisbane's downtown has been evacuated, nearly 2,000 streets are underwater, and many homes and businesses are without power. Yet Queensland's governor said she was confident the region would bounce back. January 3, 2011  One of Thailand's biggest national symbols, the elephant, has fallen on tough times. Over the past two decades, Thai elephants and their owners have drifted into cities to beg after a ban on logging left them unemployed. Now, one ethnic group renowned for its "elephant masters" is helping to coax the animals back to the country. 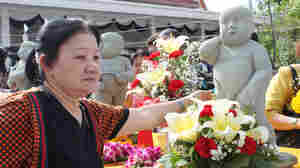 December 27, 2010  The recent discovery of 2,002 dead fetuses at a Buddhist temple in Bangkok has drawn attention to the hidden problem of illegal abortions in Thailand. The scandal contrasts with Thailand's relative success in raising living standards and providing health care and education. December 26, 2010  People in Cambodia recently welcomed the return of a noted son. Thirty-seven years ago, Navy Capt. Michael Misiewicz escaped the genocide of the Khmer Rouge regime when he was adopted by a U.S. Embassy employee. This month, he returned, as the captain of a U.S. Navy guided missile destroyer. December 17, 2010  Thailand's government says that by year's end, it will lift the state of emergency in the capital and other areas affected by anti-government rioting in April and May that left 91 dead and injured 1,900. But this by no means signals the end of political tumult. November 23, 2010  Families are reclaiming the bodies of victims of a stampede in the Cambodian capital that killed more than 300 people and injured hundreds more. Young Cambodians celebrating the conclusion of the annual Water Festival were trampled to death or drowned in what the prime minister has called the worst calamity to befall the nation since the Khmer Rouge's reign of terror more than 30 years ago. 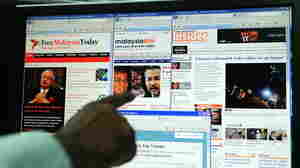 November 22, 2010  More than half of the country has access to the Internet, and the government has pledged not to censor the Web. The result: Use of the Internet has been essential in breaking a half-century-old monopoly on power by the ruling coalition. November 15, 2010  Myanmar's celebrated democracy leader Aung San Suu Kyi has picked up where she left off. Since being released from years of house arrest on Saturday, she has called for direct talks with her country's military rulers. She has also spoken of working to lift Western sanctions against Myanmar, formerly known as Burma. November 14, 2010  Nobel laureate Aung San Suu Kyi jumped right back into politics a day after she was freed from house arrest. The charismatic leader of Myanmar's opposition called for a meeting with the country's ruling junta. 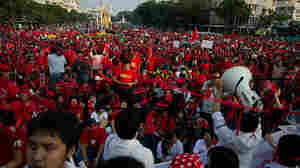 Now observers are watching to see how much room the junta will give Suu Kyi for political organizing. November 13, 2010  After two weeks of volcanic eruptions, life for people living near Mount Merapi remains dangerous and difficult. 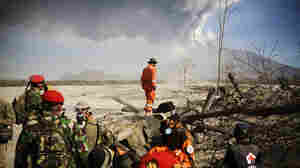 The death toll from the eruptions has surpassed 200, and more than a quarter of a million people have evacuated their homes. While vulcanologists believe the eruption is dying down, they can't guarantee it won't flare up again. November 9, 2010  President Obama arrived in Indonesia on Tuesday, the second stop on a tour of Asia. He marveled at the changes that Jakarta has undergone in the 40 years since he lived there as a schoolboy. The president got a welcome that was warmer and more emotional than another U.S. president might expect to receive, but cooler than if he had come at the height of his popularity, and without canceling two previous visits. 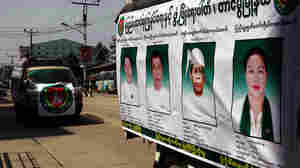 November 5, 2010  Elections are scheduled for Sunday in Myanmar, also known as Burma. Some have dismissed the first polls there in two decades as a sham, intended to consolidate a military dictatorship. But others see them as a sign of progress and a reason to engage the Burmese government.